Lucid 8 was formed in March of 2010 by Eddy Williams, Charles H. Lilly, and Jonny Craddock. Infused with an intense desire to write and perform their own unique style of high-energy rock music, they made it their mission and set out to share it with the world. After joining forces with like-minded musicians Andy Craddock and Iann L. Murray, the band ﬁnally had the perfect chemistry. With their infectious sound and unforgettable live performances, Lucid 8 commands the stage like seasoned veterans, bringing an excitement and showmanship to every show, always leaving the audience wanting more. 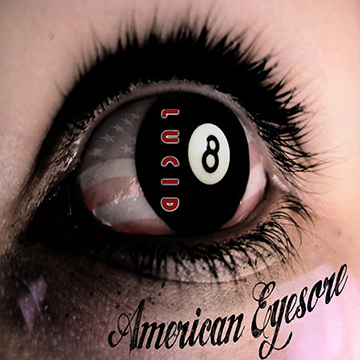 In January of 2013, Lucid 8 released American Eyesore, a fourteen song album of original, contemporary rock & roll.